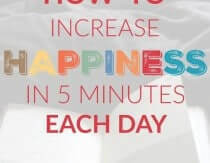 Heather Dessinger 147 Comments This post contains affiliate links. Mama, can I eat this? I’m not sure when my kids first mistook my homemade lotion for a jar of mayo in the fridge, but in this house they know to check before they chew. Sure, the point of making my own personal care products is that they’re safe enough to eat, but so far no one in this house actually wants to . . . and I now label my products to make sure that doesn’t happen. That’s why when my son asked yesterday if he could eat these, I just laughed. Sure, they look like homemade white chocolate, but they’re actually my secret for all-over skin nourishment. Homemade lotion bars melt slightly when rubbed against the warmth of your skin, leaving a layer of moisture that softens and protects. They’re perfect both in the dry winter months and as a summertime after-sun soother. Many people find them especially helpful for dry patches on elbows, knees, feet and hands. Need another reason to love them? I’ll give you two. They’re relatively inexpensive to make and they make a thoughtful gift for teachers, friends and family. I keep one in my purse, another one in a soap dish next to the kitchen sink for after I wash dishes, and a few in my pantry to give away. I’ll share some more soap/lotion bar mold and packaging ideas later in this post. As I mention here, extra virgin coconut oil happens to be very rich in antioxidants that prevent free radical formation. Free radicals cause skin to lose elasticity among other things, so obviously we don’t want them showing up in our skincare. Coconut oil is antibacterial and antifungal as well, which is beneficial for maintaining clear skin. And because its molecular structure is relatively small, these benefits penetrate deep into underlying tissues that most moisturizers can’t reach. Of course, it smells really good too. Though expeller-pressed coconut oil is not as rich in antioxidants, I still use it often in personal care products because it’s more affordable. It does all the same things as extra virgin coconut oil – just to a lesser degree – and is very effective at helping skin retain moisture. Cocoa butter is rich in Vitamin E and fatty acids, and according to this study it improves skin tone and elasticity. It is often used to soothe dry skin, rashes, eczema, scars, stretch marks, and psoriasis. Because non-organic cocoa butter is often extracted using harsh solvents like hexane, I recommend using only solvent-free sources like this one. Beeswax adds a protective barrier to skin that locks in moisture and helps keep the bar firm. I prefer organic versions because chemicals and pesticides sometimes used in conventional beekeeping may collect in the wax. This anti-oxidant is thought to smooth skin and reduce wrinkles. From a more practical standpoint, it extends the shelf life of lotion bars by preventing oils and butters from becoming rancid prematurely. This is my preferred form of vitamin E because it contains naturally derived mixed-tocopherols rather than an isolated form of vitamin E, and it doesn’t contain soy oil. I don’t know that I would buy it just for use in beauty products, but I keep it on hand as a supplement so it’s what I use for both. 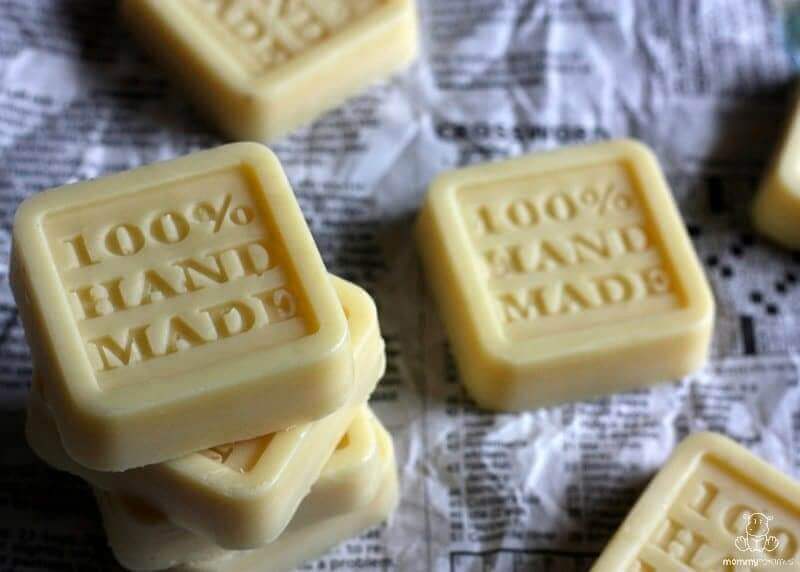 White Chocolate Peppermint – Add seventy to eighty-five drops of peppermint essential oil though I’m not typically a fan of peppermint, this is my absolute favorite for lotion bars! Creamsicle – Add seventy-five drops of sweet orange essential oil, and forty drops vanilla blended in jojoba oil. Lavender – Add seventy-five drops of lavender essential oil, or up to ninety if you prefer a stronger scent. This recipe makes eight of the 1.5 fluid ounce square lotion bars pictured or ten of the round lotion bars in the video. Fill a medium pot with about two inches of water and bring to a boil. Place a smaller pot or heat-proof stainless steel bowl inside the larger pot to create a double boiler. Add coconut oil, beeswax and cocoa butter to the bowl/pot. Stir occasionally until it is fully melted, then remove from heat. If you are adding essential oils or vitamin E, allow the mixture to cool a little before mixing them in and pouring the liquid in to your molds. If you are not adding essential oils or vitamin E, pour the liquid directly into your molds. 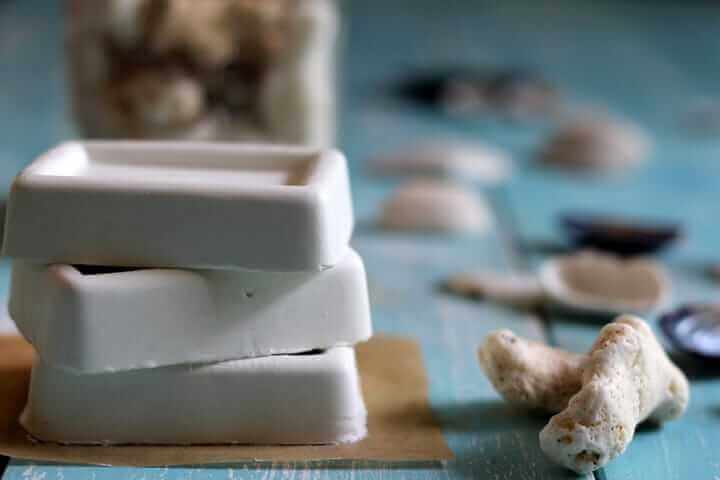 Allow lotion bars to cool fully before unmolding them. If you want to speed things up, pop them into the fridge or freezer for ten to twenty minutes. Rub lotion bars between your hands or on the desired area (elbows, feet, knees, etc. ), then massage into skin as needed. Because there is no water in this formula, it is shelf stable for up to a year without the use of preservatives. Store out of direct sunlight and away from heat – it will melt! Those molds are so cute! Thank you for including directions on his to use them! It seems obvious, but I never knew if people melted some in their hands, or scrubbed the bar all over their body. No it isn’t just you who was a bit lost on this idea! I NEVER understood lotion bars. But I did want to try some esp since I hate lotion on my hands. (I have a weird texture thing lol.) Apparently they are CRAZY popular!!! I am making some possibly Thursday!!! My mom & I are going to keep a few, she is going to be my helper,& the rest I am going to give to my sister & some for my brother-in-law (probably will use Cedarwood E.O. bc it helps his allergies a LOT) for Christmas since she has a 4 week old & has a toddler (rarely has time to apply anything!) so I went Pinteresting to find a recipe & Mommypotamus hunting (that’s a thing!! I actually go looking to see if YOU have it) If you do give it as a gift- buying it in bulk is MUCH MUCH cheaper. I bought a pound or 2 of everything & wishing I had bought more but money is just tight this time of year. It’s funny bc I bought these ingredients to make gifts for other people PLUS added them to my “Christmas List” again already. I am making homemade gifts for everyone this year but nice Mommypotamus style gifts not cheesy one’s people give to their kids when they get home lol. I picked up some tins @ the container store, they have all shapes & sizes. I used heart cupcake molds & lined the tins with cupcake papers. If you want to make labels, I used these 2 inch round kraft labels"
I hope that helps!!! OH and also Etsy has some AMAZING labels & I am sure tins & all that. I am trying to avoid going on there for that reason. I don't know how to print all that fancy stuff in circles and what not so I am sure I would just DIE on Etsy. lol. I make mine in an old, decorative muffin tin so my bars are round. I store them in these. This a great idea! Thanks for sharing! You do have any suggestions on what to put this lotion bar when traveling? Would you store it in a zip lock Baggie, travel container or pouch of some sort? I bought the “100% Hand Made” silicone molds and love them, but would really like to find a tin that fits them for storing and giving as a gift. Has anyone found a good tin for these? I’ve searched but am coming up empty handed. Thanks in advance for any suggestions! I use, among other things, plastic wet cat/dog food containers ie Caesers for dog. Bars pop right out. I use metal tins purchased from specialty bottles.com. Where can I purchase these molds? I live in Jamaica and the options are limited. Thanks! Related question: Is it okay to store the bars in the freezer for a week before packing to travel for Christmas? I don’t want them to melt by sitting out on the counter but don’t want to mess them up either! Lotion bars are super easy and quick to make. 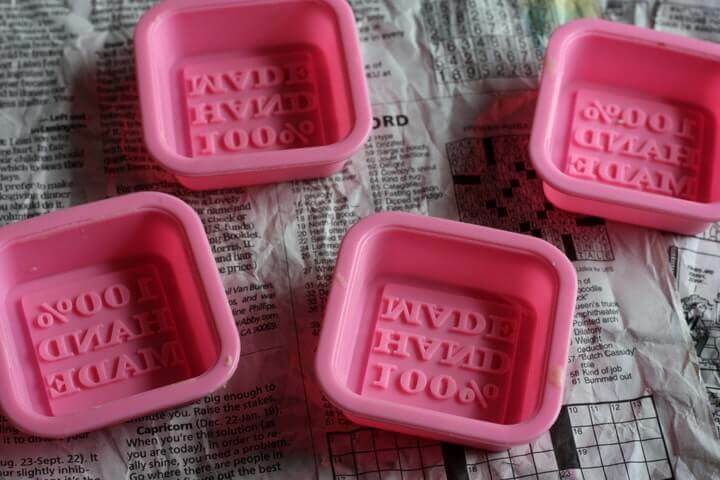 You can use molds for soaps or candy. The design should be simple so the edges don’t break off. Here are a couple molds I would consider using. Could you use the silicon cupcake ‘papers’ to make these? my guess is they are a little thinner, but maybe in a muffin tin for stability. And once you use silicon for lotion with eos can you use it for food again? You shouldn’t melt them all together at the same time if using shea butter. Coconut oil’s healing properties improve with heat, shea butter’s decrease with heat. I make something similar as a lotion/butter with less beeswax and ALWAYS melt the beeswax first with the coconut oil, remove from heat, and add the shea butter in small dollops, not one big lump, then stir constantly until it is all translucent and shea butter is melted. If it starts to become less translucent before the shea butter is melted and thoroughly combined, put it back over the hot water just long enough to start to clear up and melt again, then remove from heat. Shea butter will become gritty feeling if it gets too hot. Some don’t like the smell of shea butter, but essential oils or half cocoa butter, half shea butter would also be good. Just to let people know some people are allergic to coco butter. It is the same as chocolate. I am allergic to chocolate so I use mango instead of coco butter. 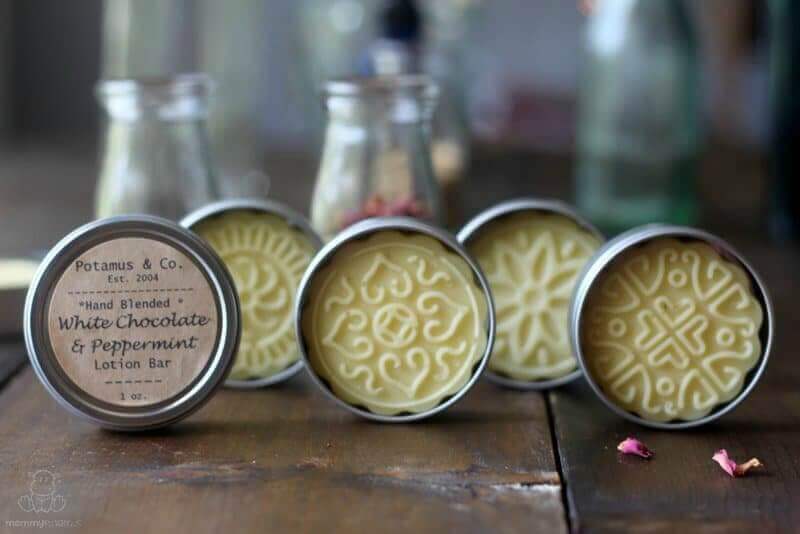 When I make my lotion bars I use the deodorant tubes or I use tins that I put my bar into. I am allergic to cocoa butter and shea butter. So I am trying to learn how to make my own lotion bars as almost all over the counter lotions now either bother my skin or make my eyes swell. Im trying to find a good mix that doesnt melt in hand so quick. Just made some last night with mango butter, kokum butter and coconut oil and essential oils, but they melt way too fast and are super greasy. What can I do to make them more stiff so to speak? Higher melting point I guess. Did you add beeswax? The beeswax is what stiffens them/makes them harder to melt. I have a question about the Vitamin E gelcaps: do you use them whole, or do you puncture them and squeeze out the gel from inside? I ask bc one of my chiropractors used to recommend squeezing out the gel for topical application, as opposed to using them whole when taking internally. Thanks in advance for your help! Yes, I would squeeze the Vitamin E out of the capsule. Hi, any other idea of a way to get the small amount of soy free vitamin e oil without buying the 43$ bottle ? Or perhaps an alternative? Looking to avoid spending on that as I may not be taking the supplement which would make that purchase more worth it. I’ve noticed many vitamin E supplements say contains sunflower oil and yours says it contains gelatin and medium chain triglyceride oils. What role does the vitamin e play? Is it considered pure vitamin e if it lists other oils? I would love to try this! A year or 2 years ago, I wouldn’t think it possible, but since I started using essential oils, making my own lotions/creams have become a possibility – at least now I know where to get the ingredients. I would love to try this recipe. Please advise if I could substitute shea butter with kokum butter as it is locally available. Hi Priyanka, unfortunately I have not worked with kokum butter so I’m not sure. kokum butter is one of the hardest butters. If not the hardest butter. I would substitute the Kokum butter for the beeswax. The best way to add Kokum would be to substitute it for the cocoa butter which is also a hard butter. You can add Kokum butter and omit the vessels but it will have a very different feel. You can alwAys do a small test batch and use the frozen spoon trick to test the consistency of the lotion bar. Happy DIY’ing. Any alternative to the good vit E capsules? I don’t want to lessen quality and agree it helps to keep lotion from spoiling but for such a small amount needed for recipe I can’t afford the cost of that bottle you had linked to. Thank you. How about buying vitamin e oil (not capsules)? Would this work? I use a silicone mold for making small chocolates. Its a very small lotion bar only good for one use. I just dont need vitamin e in this case. The other lotion cubes, I leave them in the fridge. Is there a way to make it w/o coconut oil? Both my daughter & I are highly allergic to it. Hi Colleen, you can definitely make lotion bars without coconut oil, but you’ll need to change the ratios of butters/oils/waxes. Unfortunately I don’t have a coconut oil-free recipe published on the blog right now, but I may share one in the future. There is a recipe you can use without coconut oil. If you are okay with animal fat, you can use organic tallow in place of coconut oil and add shea butter and beeswax. The recipe is in equal parts for each ingredient. I have used Tallow for whipped lotions. Personally I love working with Tallow, for lotions and soaps. you stated the bars have a shelf life of 1 year with the use of preservatives? You didn’t mention using preservatives. If I follow your recipe how long before the product becomes rancid or starts to spoil. When high quality ingredients are used the bars are shelf stable for about 12 months without the use of preservatives. How many of the pictured molds do you need for this recipe? This recipe makes eight of the 1.5 fluid ounce square lotion bars pictured. Forgive my ignorance, but can I use the same coconut oil I use for cooking? I usually buy organic virgin coconut oil at Trader Joe’s. Thanks. I made the lotion bars tonight. Very nice! However, I worked with a large brick sized bar of beeswax and it was most difficult to grate w/my hand grater. Do you have any helpful tips with this? Also, I too, am looking for a way to “keep” the bars…as in some sort of container. I have parchment, but am looking for something more “containable”…I have an ad-version to using metal tins…Would you know of any glass containers with lids? Thanks for the recipe. It’s so buttery nice! If you look around at your dollar store or Walmart type store more and more you can find small glass bowls or square/rectangle dishes with lids, granted the lids are usually a plastic or (rarely) silicone. My husband made these the other night and tried to use food coloring to make it pretty. Just a FYI, it didn’t work. It wouldn’t mix with the oil/butter/beeswax, so don’t try it. Also, for containers we used some small Tupperware containers (since I sell I got a good deal on them). I wanted to use a plastic since I would be mailing a few of these and afraid of glass breaking. You need an oil soluable color and then it will work. Water soluable with just float or make little beads that float. I’m infusing oil with spirulina. I used a coffee filter to encase the spirulina and heated it on low for a couple hours then covered and set in a dark space. I’ll wait a week and see if the oil gets dark enough to add some color to my herbal bars. Spirulina does smell a little fishy but the herbal essential oils are so strong that they should win out. Is it possible to make the lotion bar without butter (shea butter, cocoa butter, ….butter)? Also, can use breast milk to make? Hi Sylvia, the butters are what give it firmness. Beeswax helps as well, but too much will leave skin sticky. I don’t recommend breast milk because it won’t mix with the oils and is more prone to bacteria. My kids and I made a bunch of lotion bars to give as gifts this Christmas. They were a hit! I keep one by my bed to use each night on my hands. The only problem I had was cleaning the supplies we used to make the lotion bars. How do you successfully clean the pots and molds? We found it so difficult to get the wax/oil combo residue out. I take an empty (and clean) Pringles can, wrap pretty paper around it with modge podge, then put a round personalized label on the cans cover, it holds quite a few of them. Hello, I have been Googling for Lotion Bar recipes & noted your recipe calls for a 1 part oil:1 part butter: 1/2 part beeswax. Several otherrecipes call for all equal parts including the beeswax. I’m buying supplies to make 100 1 oz bars for seniors at a retirement home & wondered why your ratio of beeswax is smaller? Does it make for a better moisturizing property in the bar? I’d love to get less supplies!!! I realize it’s months later, but seeing no response, I figured I’d share my thoughts. I’ve made bars with equal parts (oils, butters, waxes). They are GREAT for hands, elbows, knees, and heels. I find, however, they skid a bit when trying to apply to arms, legs, and other larger body parts. The 1/2 part beeswax lessons that drag; therefore, two-thumbs up to this recipe. 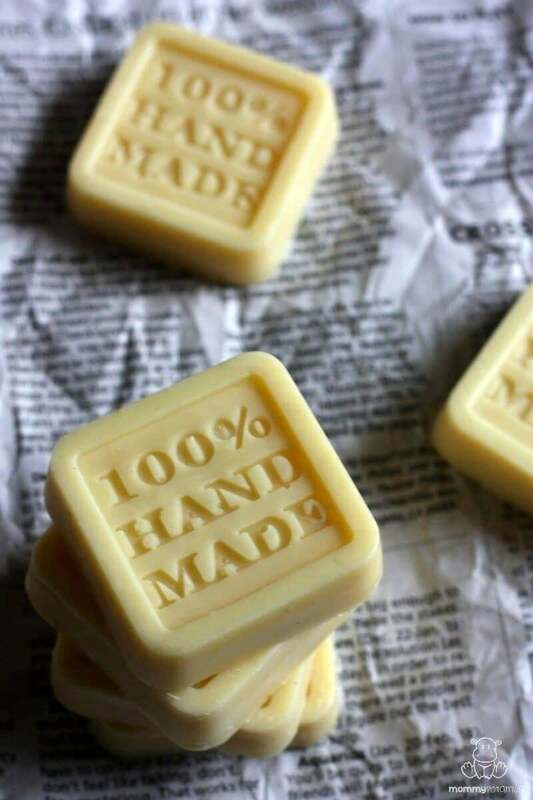 I made the lotion bars with mango butter last weekend and gave them to friends at work – they all loved them! I love the way my skin feels in the morning after applying it generously at night. I’m going to use a 4-cup pyrex measuring cup to make the next batch this weekend. 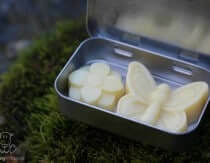 I love the fact that I am going to make lotion bars and I google the recipe again and your the first one that come up. Great to see a friend on google search. Pretty cool stuff mama! Miss you and Daniel so much! Can you clarify what you mean by the vanilla not being ABSOLUTE? Are you mixing vanilla extract into the Jojoba oil or are you buying vanilla scented Jojoba oil? I really want to make the creamsicle version! I have made your white chocolate peppermint and everyone loves it! I get a ton of compliments! Thanks in advance for clarifying for me! I recommend vanilla infused jojoba oil. Thank you for your recipe! I have a question ~ I want to use a muffin tin to mold the lotion bars, but it’s not silicone. If I used paper liners, will the bars stick to the paper? Thanks! Can I use a metal Petit Four mold for this? Will the bars come out? I have your DIY beauty products book and I was looking at the recipe for the lotion bars there as well as your website. In the book you call for 4 ounces of beeswax and on your website you call for 2.5 ounces. Did you update the recipe on the website? Which amount should I use? I want to make the creamsicle ones today! Thanks! Can I use all coconut oil instead of part coconut and part shea or cocoa butter? Ok, I read back and got the answer. I made a half recipe to sort of get a feel for it. I didn’t the bar scented, but it isn’t really pleasant unscented as the shea has a sort of earthy smell. Can I re-melt it and add an essential oil? Is it possible to mix commercial sunscreen to this recipe? Or would it alter anything? Thanks! I just started diy-ing my skincare line and your blog has been reallt helpfuyl! Thanks, Mommypotamus, for the recipe. I have been looking for a new skin care program to replace my current, which is simply coconut oil. Your recipe seems like a great candidate. While I love coconut oil’s one-ingredient simplicity, I hate that it is greasy and leaves smudges on my clothes if I dress too quickly after application. Also that coconut oil seems to leak out of every seemingly-sealed container I have at my disposal once the oil melts (and the container tips past level). So … my question is … how well does your lotion bar rub in – do I need to be as patient using this stuff as I must for regular coconut oil? I’d like something I can travel with, not just something that works well sitting on my counter at constant room temperature. Many thanks. And please keep posting. I would say it is less oily than plain coconut oil but still on the heavy side when it comes to overall moisturizing. More like a cream than lotion. I love your work and you’ve inspired me to try making lotion bars and some soaps. I’ll let you know how it goes! Oh almost forgot, I guess to put them into deo stick containers I’d better let them harden somewhat, lol I bought some containers for that purpose. Glad you like them, Karen! I could have sworn I got a homemade face moisturizer off your website and now I can’t find it? There was one about just plain whipped coconut oil and then there was a 2 nd recipe that had a little water in it and some beeswax? Am I going crazy? Lol. I made one batch and now I’m ready to make some more and I thought I wrote it down but I guess not? Please help! Hi – I just tried to make lotion bars and tried to use orange EO to impart a scent – how do you mix in EO’s and not have them flash away because the melted beeswax/oils are too hot? If I let them cool, then they start to solid up inside the bowl and I can’t mix in the EO. Any suggestions? When measuring the cocoa butter and coconut oil are you suppose to melt is first and then measure it? Or weight it solid? Hi Donna, the measurements are by weight rather than volume. However, I do have some suggested measurements in the post for those who do not have a scale. Made them and they turned out great. Put them in the freezer as you suggested. Pull them out and took them out of the mold. Left them on the table and they started to soften. I had to put them back in the frig. Do you think if I add a little more bees wax or cocoa butter it will stay hard? Love making homemade stuff! Have tried my hands in many projects. I made soy and eo candles and they throw off no scent. I was thinking of doing lotion bars. Question is the sky candle and eo mix I made for the candles seem nice when I put them in a mold and am thinking why do I need all the other oils and Shea. Can’t the soy and eo work as a lotion bar? What am I not getting here . Thanks! can coconut butter be used instead? I love lotion bars! And I’m excited to try your recipe. Just as another option, I buy empty tubes that look like lip balm tubes, but bigger, and pour my lotion mixture into those. For me, these are easier because my lotion bars would always get mashed in my purse (in a baggie!) and they are way easier to carry around. 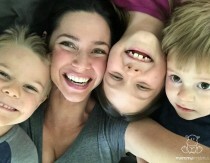 Love, love, love your site, Heather! I’ve been shadowing your blog for about a year, and have tried and loved many of your recipes. Next one I’m trying is your coconut body wash bars! I followed your instructions exactly using shea butter instead of cocoa butter, and the result was far too waxy to absorb well into the skin, even with determined rubbing. I thought about keeping them to use on stuck zippers and squeaky doors but decided that would be silly, so out they went. A big disappointment. Oh, I’m sorry to hear that! If you can still get them, grab them re-melt them. Add a little more shea butter and it should reduce the waxy feeling. The properties of natural ingredients can very from batch-to-batch so sometimes it takes a little tweaking to get things just the way you want, but it’s totally doable with these bars. I just made these and used cocoa butter. So far, so good, but how can you make these smell differently? What kind of essential oil would do this? Hi. Do you reuse tge bars over and over again until gone? how the heck do you get the residual wax/oil combo out of the container you melt it in? 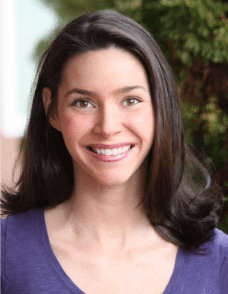 Hi Amy, I warm the container on the stove (or in the oven if it’s heat-proof glass or a stainless steel bowl) and then wipe out the excess with old newspaper or paper towels. What a great recipe! I made these as Christmas gifts using silicone ice cube trays. I put them, wrapped in parchment, in holiday style ziplock baggies! These bars are amazing, I can’t get enough and I love the simple recipe. 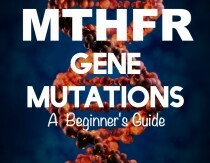 Can I share this on my blog? I tried this recipe… It was my first time to make the one, I totally missed to put the Vitamin E oil, but overall I am happy about the result….You ar the bomb.com…. I am confused by your measurements. For measuring by weight it calls for 4 ounces coconut oil and 6 ounces cocoa butter with a ratio of 2 to 4. Yet in the cup measurements it calls for 1⁄2 cup melted coconut oil and 2½ cups grated cocoa butter with a ratio of 2 to 10. Which is correct? Measuring by weight is more accurate than measuring by cups. Four ounces of coconut oil (by weight) must measure 1/2 cup when melted. The 6 oz of cocoa butter (by weight) should fill 2 1/2 cups when grated as it’s less dense when grated. Your best bet is to weigh everything. If that’s not possible, then work with the cup measurements. Hope that helps! Hi, Heather! Thanks for sharing this recipe. I tried this at home and I really loved the mosturizing properties. Although, since I live in Brazil and in the past few months it has been hot as hell, the bars might feel a little too greasy, oily, and too thick (even storing them in the fridge – not a possibility to leave them outside). I tried to put less butter (I used shea butter instead) and it seemed a little better. But anyway, I understand that usually in tropical countries it is more likely that we appreciate a milder lotion. Do you feel the same about your lotions in summer as well as in winter times? These look amazing but I was wondering if I can use soy wax from a craft store instead of the beeswax? Hi! I was wondering if you should have a separate set of bowls for this or if you can still use teh stainless steel bowls for cooking once they’ve been cleaned. Thanks! I wouldn’t think so, it’s not like you are using caustic materials. I would NOT if you were making home made soap that uses LYE but I don’t think there should be an issue with these ingredients. Just clean well. Allergic to coconut, what would you recommend using instead ? Hi Heather. Just made a batch of these for my kids. They absolutely love it 🙂 . Thanks for such a wonderful recipe. I purchased some lotion bars for weddings favors, but unfortunately they becam a little too warm and started to melt, which screwed up their mold shapes. Do you think I could melt them down and report them into new molds? I love this recipe and I love your blog!!! I have made several things from your recipes. This bar does feel like it just sits on my skin without soaking up much. Will this stain my clothes? Thanks for the recipe! I have a problem with flat warts on my legs and want to make lotion bars as an easy way to treat the warts with EO. ACV is also a great way to treat warts…Do you think it’s possible to include ACV in the bars and, if so, do you have any recommendations on how to change the recipe? Thanks! Hi Heather…………..is it possible to substitite the cocoa butter for shea butter?? Just wanting to know how I’d go about working out exactly how much EO to use, your recipe calls for up to 1.5 teaspoons of EO? With each EO having different strengths I’m not sure how much to use. Is there a way to calculate out how much to use? When I weigh out my beeswax, it comes out to more than 1/2 cup. Which measurement works best? Should I use the 4 oz or the 1/2 cup? I made these to give as gifts for the girls at work…they loved them…I even caught one licking her arm!!! Thank you for the wonderful recipe and presentation ideas. You are a star. Lol! You just made my night, Tracey. I’m so glad you liked them! To make the bars less greasy add a few tablespoons of cornstarch… add more if you want until it gets to where you like the feel. Can I add honey to the lotion bars? If so, how much? I followed this recipe and the lotion bars turned out really cute. My family loves them because they moisturize well. However, there is something odd with the smell. I’m not sure if it’s a strong smell from the shea butter or the beeswax or order of melting the ingredients. What might I have missed? If I use vitamin E, how long would these lotion bars last? Would you say that you have to use cocoa butter that is natural as opposed to something like Queen Helene Cocoa Butter Face + Body Crème? Do you think the bar would even work using something like that? Thanks so much for the advice, just looking to cut a few costs, making a large batch for a camp activity! Cocoa butter is very hard which is why the bar stays solid. I don’t think the cream you suggested would work unfortunately. Thanks for the translation of the recipe for those who don’t have a scale, but I think there’s a mistake. You list “2-1/2 cups cocoa butter,” but if I’m reading your weight based recipe correctly it should be “1-1/2 cups cocoa butter” (50% more than the coconut oil and beeswax). I’m from Cape Town, South Africa and have been dying to make a batch of these! I made them last night & realised that the ounces to cups conversion isn’t quite right for the shea butter quantity. I think it should be 1&1/2 cups not 2? The direct oz to gran conversion = 114g Coconut oil, 170g shea butter, 114g beeswax. Hope that helps any other international fans 🙂 These are amazing! I made these yesterday and just LOVE them! Thank you for a wonderful recipe. I am giving them as gifts along with crocheted spa sets. 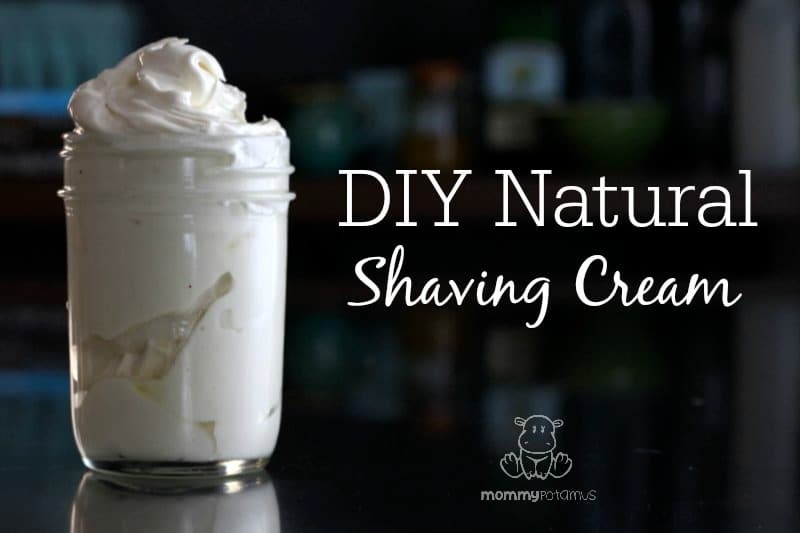 I also made your vanilla body spray recipe…waiting for it to “marinate” a few days. This is so much fun! Thank you so much for this wonderful tutorial!! Love the recipes! Thank you. I made these lotion bars and they moisturize well. My only problem is that they smell a little bit like rubber or plastic. It’s my first time to make them so I’m not sure if it’s the beeswax or shea butter that smells like plastic. Did I overheat it? I made my second batch of this recipe and I accidentally let a small amount of water into my double broiler while heating the oils up. I tried to leave it a little longer hoping it would evaporate out but, I could tell it was still in there. I molded them. Will this effect the shelf life? Will I get mold? Ugh. I made them for Christmas gifts. Your expert opinion is needed! Because of the formula the water should bead up and end up on the outside of the bars, but I can’t say for sure that happened based on your description. If it did bead up or get left in the bottom of the molds, I would leave the bars on a drying rack to fully dry the exterior. If allowed to dry out (and assuming there’s no moisture in the bars, which there likely wouldn’t be) the shelf life would likely be very minimally affected. Hello! How do you store you oils? Do you put them in the fridge or do you leave them out a room temperature? I thought once I read that you put yours in the fridge but I can’t find where I read that. I keep most of mine in the fridge. There are a few that I use often and keep on my kitchen/bathroom counter because I know I will use them quickly, but that’s more the exception than the rule.